88 Films in the UK have delighted Shaw Brothers fans by releasing a series of films onto Blu Ray and DVD and many of them are classic Kung Fu movies from the famous studio. Masked Avengers is one of the so-called Venoms later efforts in which masked killers are wreaking havoc and instilling terror with their vicious weapons of choice: razor-sharp, gut-shattering tridents. Only three fearless fighters dare investigate and after many double-crosses and violent deaths, the scene is set for a weapons showdown. Most of the stories in these films are not the best or easiest to follow and this is a prime example of a plot that just stumbles from one gory set piece to another but the one saving grace is the amazing skill and choreography of those involved. 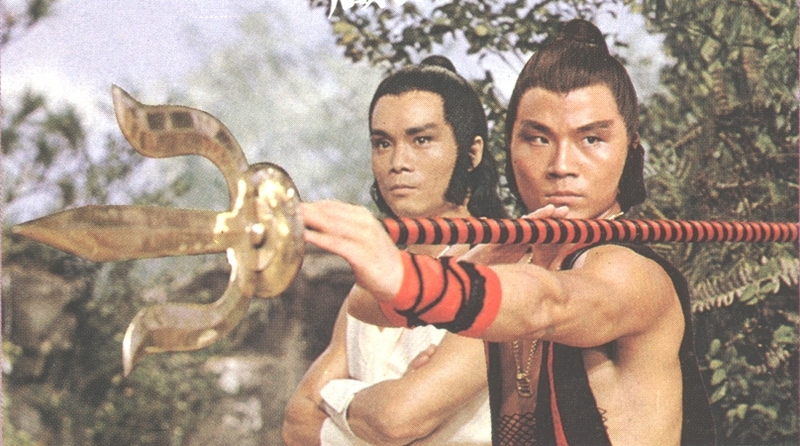 Kwok Choy is probably the best known in this film and gets to show his weapons and acrobatic skills to good effect. There is plenty of blood and torture on show but its hard to take seriously at times. As mentioned the action really saves the day and the finale is not a letdown with plenty of great choreography on display. One of the last films director Chang Cheh did for Shaws and you could see that the budget was low, it’s virtually all done in the famed Shaw indoor sets and does suffer at times because of this. The Blu Ray release is a fantastic re-master, the HD picture looks solid, with good colours even if there is evidence of enhanced digital noise reduction. Audio is thankfully original mono in Mandarin or the classic old-school English dub. The subtitles are fine but with a few grammatical errors. Extras are an audio commentary with Bey Logan, as usual very informative and interesting as well as trailers and an interesting conversation with director Godfrey Ho, who worked as an assistant of Chang Cheh at Shaws. A welcome release, which also comes with a DVD version, a booklet and reversible cover art. Region B / 2 Locked.